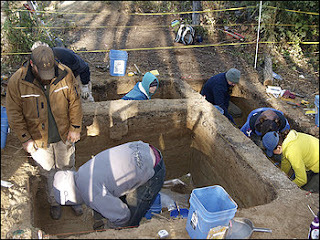 Some 11,500 years ago, at the end of the last Ice Age, a child died near a river in what is now central Alaska. The people living with the child in a tent-pole house - presumably the parents - placed the 3-year-old's body in their home's cooking pit and lit a fire. After two to three hours of burning, the family covered the remains with dirt and left.